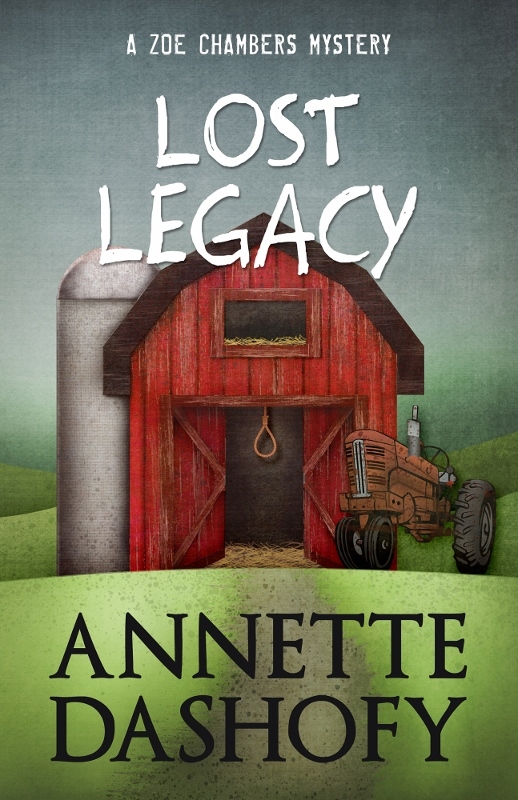 Today on Promote an Author Tuesday, I’d like to introduce you to Annette Dashofy. The second book in her Zoe Chambers Mystery series is out and the third one is not far behind! Head back over on Thursday to read my review of Lost Legacy. Welcome to the first edition of Book Review Thursday. 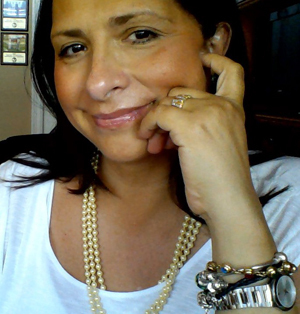 Come back each week to get a peek inside what authors I love and what storylines inspire me. Faith Hunter and her boyfriend, Steve Davis, are on their way to a cropping retreat. After a call from a detective, they come across an abandoned car on the side of the road; some of Faith’s personal information is on the front seat. Leaving their friend, Bob, who’s a private investigator, to talk to the police, they arrive at the resort. As they start to unload their trailer, someone tries to run over Faith, but instead, they run over an unknown woman, killing her. Steve and Bob tell her to stay out of the investigation. Bob is at the retreat to looking for an identity thief among the croppers. Faith has her own problems: a man, claiming to be an FBI agent, is threatening her. He plans to prove that Faith is really behind the death of the woman, as well as a murder her ex-husband framed her for (he’s the one in prison). Faith knows if Steve, her grandmothers, and her friends in Eden find out about her past, she’ll have to leave Eden in shame. The women running the cropping retreat, Lydia Clement and Martha Smith, are a bit flaky, especially Martha. Lydia says Martha has a drinking problem, and asks Faith to keep an eye on her to make sure she doesn’t fall off the wagon. Martha confides to Faith that she is hiding from an abusive ex-husband who’s a cop. And there’s a strange woman at the retreat who doesn’t really seem to be that interested in cropping. Is she the identity thief, or is she working with the FBI man to frame Faith? Everywhere Faith goes, he’s there, threatening and harassing her. A confrontation leaves another person dead, and more questions than answers. As Faith barrels toward the thrilling conclusion, she learns a secret that shatters her whole world into pieces. Can she keep her emotions in check long enough to stop a killer? Or will it cost her someone she loves? 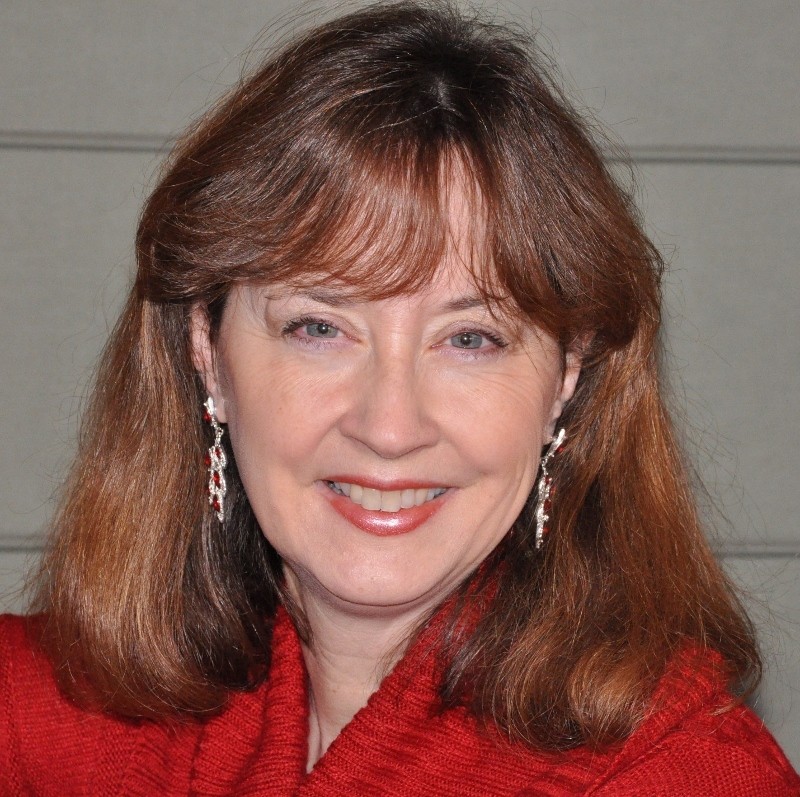 Today on Promote an Author Tuesday, I’d like to introduce you to Christina Freeburn. Our heroine, Cam Shaw, reported back some great things about her following a recent interview with her. 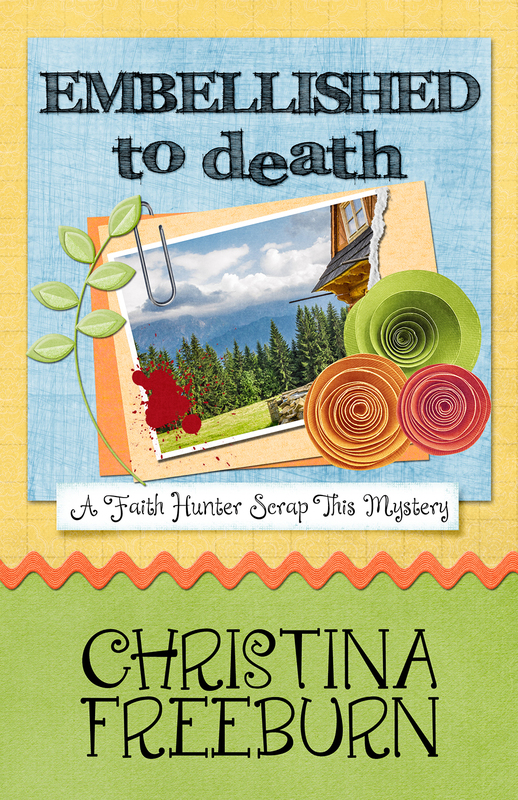 When Faith Hunter agrees to help PI Bob Roget find an identity thief at a local scrapbook retreat, her friendly croppers’ weekend quickly morphs into a dangerous one. As croppers share their own memories, a killer collects them for her new identity, and doesn’t appreciate Faith in the picture.Faith struggles to balance her professional, detecting and personal lives as threats and secrets keep her off-balance. Things turn deadly when a woman is killed and Faith is blackmailed. Truth and lies collide when Faith discovers croppers aren’t the only ones embellishing, and the results might end her life. You can also find Embellished to Death on iBooks. The price goes up to the regular $3.99 on release day, so make sure to get your copy today! After you preorder the book, click here to enter to win a $20 Amazon gift card! Today, we’ll take a look back at the history behind M.C.V. Egan’s The Bridge of Deaths. September 5, 1939: United States proclaims its neutrality; German troops cross the Vistula River in Poland. The war has hit Poland, with the 10th and 14th German armies crossing the Vistula River, eventually breaking through the Polish lines. As they advance, German troops encounter hundreds of massacred German residents of Polish cities, atrocities which were committed by the fleeing Polish troops. German troops continue to advance and, upon entering Piotrkow, set fire to the Jewish district. Despite what appears to be a rapidly-escalating conflict, President Roosevelt steadfastly maintains the United States’ neutrality. A link to The Bridge of Deaths: The vast majority of Americans did not want anything to do with the European conflict. There were, however, propaganda movements to encourage Americans to think differently, the most powerful of which is found at the British Security Coordination (BSC). The BSC, interestingly, was housed in 30 Rockefeller Plaza in New York City, the same building as Standard Oil, the company where G-AESY victims Samuel Simonton and C.A. Castillo (the author’s grandfather), worked. Among the spies coming out of the BSC were people who left great names in other fields after the war, amongst them authors Roald Dahl and Ian Fleming. (Source) In The Bridge of Deaths, the protagonists explore how, in 1939, individuals with an ability to travel were recruited as spies for the British government. Don’t forget to stop back again on Thursday to check out my review of The Bridge of Deaths. Until then, click here to enter to win a $75 Amazon Gift Card! What new information have you come across since the first edition was released in 2011? I actually found and connected with Mr. Simonton’s daughter, here in south Florida. I also found that Anthony Crossley was very linked to the famous spy Anthony Blunt which opens a whole other can of worms! I have also found more data on Mr. Wicks which makes him seem like privy to information that perhaps saved his life because other who did far less than he were hung for treason. What is so important about the blue dye? To answer this I am going to borrow what a young British engineer used to explain it to me. A tea drinker with a favorite mug would have a mug with inside stains from the tea after using it many times and just rinsing it with water; (I guess he likes his tea with no sugar or lemon) , the more tea the darker the stain. Aircraft fuel even to this day is categorized with a special dye in the 1930s it was a blue dye, it may or may not be the case today. The argument that the fire started from constant seeping of fuel cannot be accurate (even if it did become part of official findings) because there was no blue stain, there is no way sea water especially for such a short time, less than 24 hours would have removed the stain accumulated after presumably several years of seepage. Mr. Willans – those in positions of power worked very hard to discredit him. Why? Is it because they knew he was on the right track, and they didn’t want the truth to come out? Which smacks of serious collusion between several major and minor people involved in this investigation. YES! I am obsessed with Mr. Willans on two notes, one because years ago one of the people who held the watch said to me “there is a man named Williams, he knows the story, find him before he dies.” And because of the documented data that just scrams he was on the right track and was not acknowledged. I am by nature very skeptical and not keen on conspiracies but I feel that yes this was very conspiratorial and that it was not limited to one power. I did find a trail for Willans I will find it for you scan and have Anne send it to you. What made you decide to look into the plane crash to begin with? Did someone in the family think there was something suspicious about the crash? We were told it was sabotage. Especially by my step-grandfather who was living in London at the time and also working for Standard Oil of New Jersey. When I came in contact with Anthon y Crossley’s grand-daughter she too had been raised with the story as sabotage. The letter which is an image in the book, although poor quality from my grandfather’s boos in 1939 just a few days later calling it “One of those mysteries that will never be solved” is also the type of thing that make you question WHY? You stated in a previous interview that the Danish government does not intend to release the information when the time limit expires. Why? When I was finally officially allowed to sit in a Police station and work with files I was not allowed to photocopy. The head of the department who had a background in law and had worked for the equivalent of the FBI or CIA I think in Denmark they are one and the same told me, you will never see that file. He was very nice and not threatening he was simply stating a fact as he knew it to be. Do you feel there is a cover-up going on? I am certain there was a cover up, there are too many discrepancies I do not want to give in full detail for spoilers, but the corpses, the plane and the discrepancies in the archival materials. Also a huge thing is that not just Willans but others requested an addendum to the report stating they DID NOT agree with the findings. The individual who had the long past life regressions, five in total has asked to remain anonymous, but I was allowed to sit in and take notes, they were also recorded but the quality is horrible which is a shame because just like Maggie in the book, I did ‘go under’ and slept through one of them. 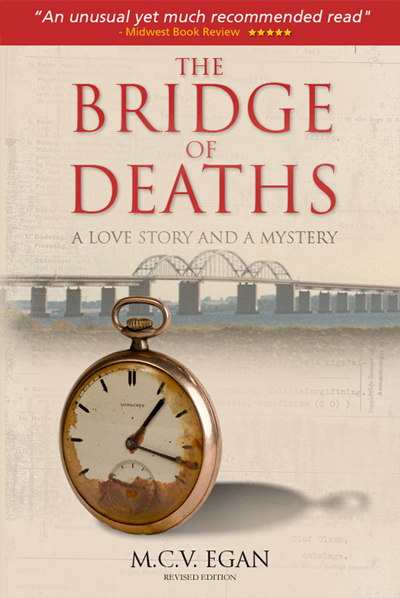 Stop back tomorrow to learn more about the history surrounding The Bridge of Deaths. While you’re waiting, click here to enter to win a $75 Amazon Gift Card!